The recent movies are not the only adaptations of C.S. Lewis’s beloved classics. Here is a list of the most notable along with some handy reference information. Two versions were created: One with American actors and another with English actors. Much of the dialogue comes from the book, but there are some notable changes: The story actually opens with Lucy jumping out of the wardrobe and claiming to have met a faun – her adventure with Tumnus is then shown in flashback. The captain of the Witch’s secret police is named Fenris Ulf (the name Lewis gave him in early American editions) instead of Maugrim. Father Christmas does not appear – the Pevensies receive their gifts from Aslan. 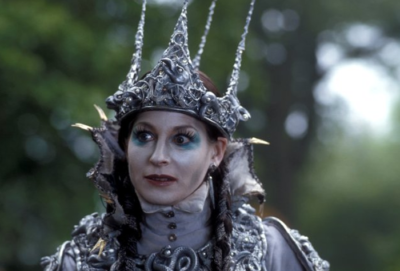 Only the first four books were produced: The Lion the Witch and the Wardrobe, Prince Caspian, The Voyage of the Dawn Treader, and The Silver Chair. Warwick Davis (Reepicheep, Glimfeather) would go on to play Nikarick in Disney/Walden’s Prince Caspian movie (2008). Most of the dialogue comes from the book. The story of Prince Caspian was compressed into less than an hour. Sylvester McCoy (Reepicheep) would go on to play Radagast in Peter Jackon’s The Hobbit trilogy (2012-2014). The narrator is generally used as little as possible, so there is a fair amount of additional dialogue. 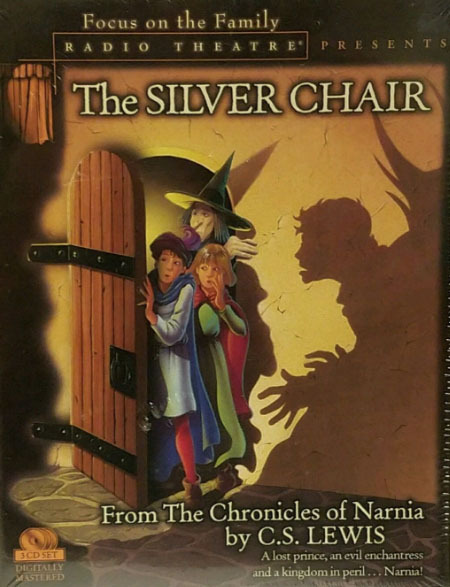 For example, The Silver Chair opens with Eustace explaining the injustice at Experiment House to Edmund and Lucy. Professor Digory Kirke actually narrates The Magician’s Nephew and The Lion, the Witch and the Wardrobe (the stories are told in chronological order). 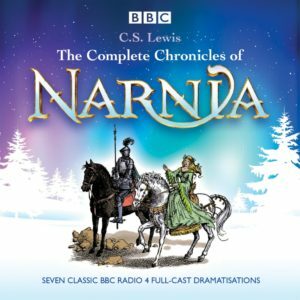 Paul Scofield (Narrator), David Suchet (Aslan), Elizabeth Counsell (White Witch), Nathaniel Lippiett (Digory), Jessica Fox (Polly), Richard Syms (Uncle Andrew), Freddie Findlay (Peter), Katherine Suchet (Susan), Matthew White (Edmund), Elizabeth Eaton (Lucy), Timothy Bateson (Mr. Beaver) Polly March (Mrs. Beaver), Philip Sherlock (Tumnus), John Woodnut (Professor Kirke). Each story is preceded by a short introduction from Douglas Gresham, stepson of C.S. Lewis. Nearly all of the dialogue comes straight from C.S. Lewis and a narrator is used heavily. There are no major departures from the book, though some scenes are compressed or removed. There is one small but notable addition in The Voyage of the Dawn Treader: After realizing what a nuisance he has become, Dragon-Eustace selflessly decides to leave the company and remain on the island, but Aslan undragons him first.